ST. PETERSBURG, Russia (AP) — Russian President Vladimir Putin says he will wait for the trial of a Norwegian man jailed on espionage charges to wrap up before weighing pleas for a pardon. Frode Berg was arrested in Moscow in December 2017. His lawyer said that Berg, a retired Norwegian border inspector, is the victim of a setup. 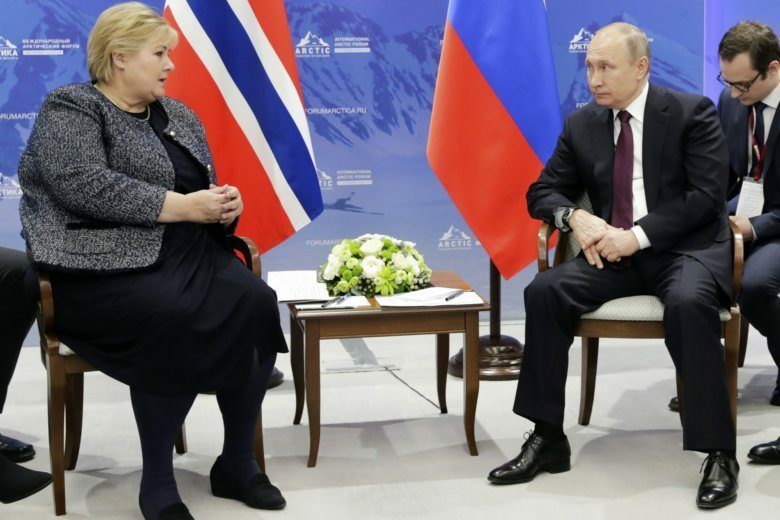 Putin commented on the case Tuesday as he sat down for talks with Norwegian Prime Minister Erna Solberg on the sidelines of an Arctic forum in St. Petersburg. Asked by reporters if he would pardon Berg, he responded that “only a convicted person can be pardoned” and added that “we shall see what can be done” after the trial ends. Russian prosecutors said Berg was accused of collecting information about Russian nuclear submarines for Norwegian intelligence.